Indigenous villages in the inland highlands, a plush cloud forest mountain, the backwater streams of the Amazonian Rainforest, the uniquely remarkable Galapagos Islands… Ecuador rewards travelers handsomely. Straddling two hemispheres, Ecuador may be small but it has a dynamic character. It is most identified with its Galapagos Islands archipelago, some 650 miles west of mainland Ecuador in the Pacific Ocean. Nothing quite compares to the thrill of observing wildlife on these natural volcanic islands, where the animals do not run or fly away when humans approach. It was here that Charles Darwin discovered conditions that helped shape his ideas on evolutionary theory. Life evolved on these islands in isolation, separate from the rest of the world. Distinctions exist even from one island to the next. With a visit to these special islands on the life-list of so many nature travelers, and as a leader in sustainable tourism best practices, Big Five wants to help insure that the Galapagos does not become another “go now before it’s too late” travel destination. Big Five has raised the sustainable travel bar higher by linking the Galapagos with exploring the incredible natural and cultural heritage of mainland Ecuador, which includes some of the established indigenous markets that have existed for a millennium. Once the Inca Empire’s northernmost territory, it boasts important archeological sites as well as pre-Inca fortresses. In the highland valleys, Quechua-speaking communities continue traditions of weaving, artwork and handicrafts using many of the same techniques as generations past. There are opportunities to travel upriver via dugout canoe into the still-virgin Amazon Rainforest to stay at a simple ecolodge run by the ancestral Waorani people, where small-scale ecotourism might just help them stay in their forest. The history of Ecuador’s traditional peoples reaches back some 11,000 years, and it is estimated that 25% of Ecuador’s population today is of indigenous heritage. The beautifully preserved cities of Quito and Cuenca are noted for sumptuous 16th-century art and architecture. The tapestry of Ecuador from the Galapagos, to the Amazon, to the Andes, from distinctive wildlife to authentic highland cultures, makes this a land of adventures. For a complete list of available Big Five Ecuador & The Galapagos tours, please visit our sister website: www.galapagos.com. Gazing out the charter plane’s small window, I see the Amazon Rainforest laid out beneath me, vast, green and lush. We land on a grass runway, and make our way to the river. The real adventure begins now – a two-hour river journey downstream in a dugout canoe. We quickly leave the outside world behind as the rainforest closes around us. Deep in the forest, I have the extraordinary opportunity to engage with a people who still live by the ways of their ancestors. These hunters and gatherers meet all their needs from the forest and the rivers as generations before them did. This is a way of life that has almost completely vanished from the rest of our planet. In my all too brief stay, I am deeply moved by the young girls who giggle when they see me approaching and the little boy who poses proudly with his gifted t-shirt with the Rolling Stones on the front. These people are on the edge, between an ancient past and an improbable future as they struggle to learn enough to join the world. Explore some of the fascinating variety Ecuador has to offer, including its distinctive cuisine - from the food markets in Quito and Otavalo to a culinary lesson in Quito, to sampling gourmet Ecuadorean fusion cuisine with a chef, who shares his secrets and famous recipes. Encounter some of Ecuador's amazing wildlife such as the high-flying condor of the Andes and the fabled pink dolphins of the Amazon. Delve into the Amazon rainforest during a three-night river cruise, and meet with Kichwa women as they share their customs, cuisine and everyday life in the jungles. Go horseback riding in the Andes past Caranqui pyramids, the largest and best-preserved archeological sites of the ancient Caranqui culture with 132 small earth mounds dating as far back as 700 CE. In this high-altitude adventure, discover the traditional Indian village of Peguche and the family of artists there who specialize in crafting traditional musical instruments. Enjoy Otavalo’s indigenous food market to sample some exotic fruits in a market atmosphere. Walk the rim of the volcanic caldera. Take a photography lesson with a recognized photographer. Explore the Andes on foot during a three-day trek between mountain lodges for an amazing hiking adventure. Explore the old-world city of Quito. 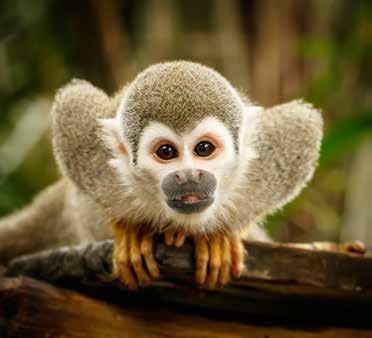 Enjoy the peaceful sanctuary of Ecuador's private reserves of Mashpi, Zuleta and the Galapagos Safari Camp. Go bird watching for the endangered condor in the Andean Condor Reserve; and learn about the traditional Zuleta community. Discover the Galapagos Islands on a four-night cruise as well as in the relaxed atmosphere of a luxury tented camp. Discover the islands made famous by Charles Darwin and the remarkable highlands of Ecuador. Explore colonial cities and the Amazon Rainforests. 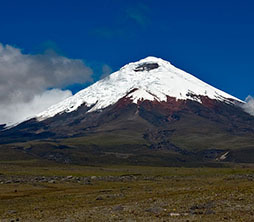 Ecuador offers a world of adventure.